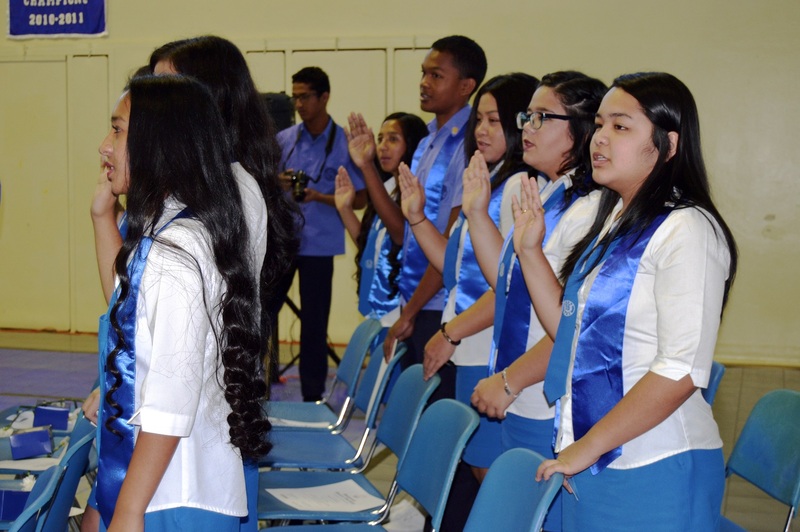 NDHS is located in the beautiful, southern village of Talofofo, Guam. Students will discover what it it truly means to be a Royal, by preparing not only for college, but also for lifelong learning by empowering themselves. Through collaboration, instilled leadership, dedication to service, and inspired passion for justice and peace in the spirit of Jesus Christ....students will be prepared to succeed in all avenues of their lives. The aim of NDHS within the context of the total curriculum is to assist each student in becoming an informed Christian who is aware of the gospel’s challenge to accept, develop, and integrate a faith-response into all facets of human life: spiritual, academic, social, cultural, and physical. This faith-response will be achieved upon the acceptance of their social responsibilities and willingness to share their talents. Incoming freshman need to call or register online for the Placement Test. After testing, registration form must be submitted with registration & instructional fee payment, an official school document showing completion of 8th grade, and shot records. Transfer students must submit completed application form, a copy of most current report card, and an official transcript from last school attended for review. After an acceptance letter has been received, submit registration form with registration & instructional fee payment, and copy of shot record. Returning students must submit registration form with registration & instructional fee payment. 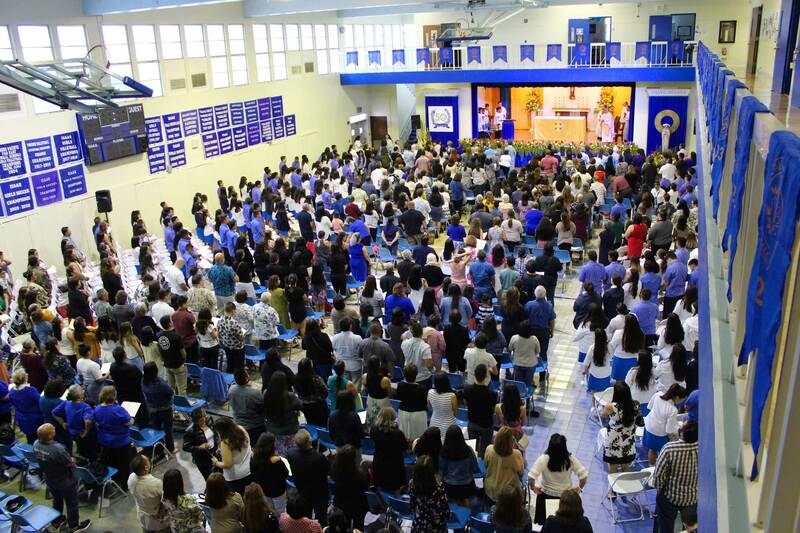 Faculty and staff attended the the Catholic Schools Conference on Friday, February 1, 2019. Save the date...Alumni Volleyball Tournament. The Chorus and Speech classes sponsored an assembly to honor veterans within the Royal Family on November 7. God bless all our Veterans! Thank you for your service. Congratulations to the Lady Royals and Coaches Rabago and Stanley - IIAAG 2018 Volleyball Champions! In continued celebration of our 50th Jubilee, students wore crowns on October 12, 2018, the 50th day of the school year. Placement Test for Incoming 9th Graders - 9a.m.-12p.m. Over 4 Decades. 2,600+ Alumni. Immeasurable Commitment. "Notre Dame provided us with a Catholic education, that taught us to live in the followings of Jesus Christ, and has instilled in us the good morals and values. I believe there is one quote for us to live by as Notre Dame Royals, and that quote is by none other than, our school foundress, Blessed Theresa Gerhardinger. 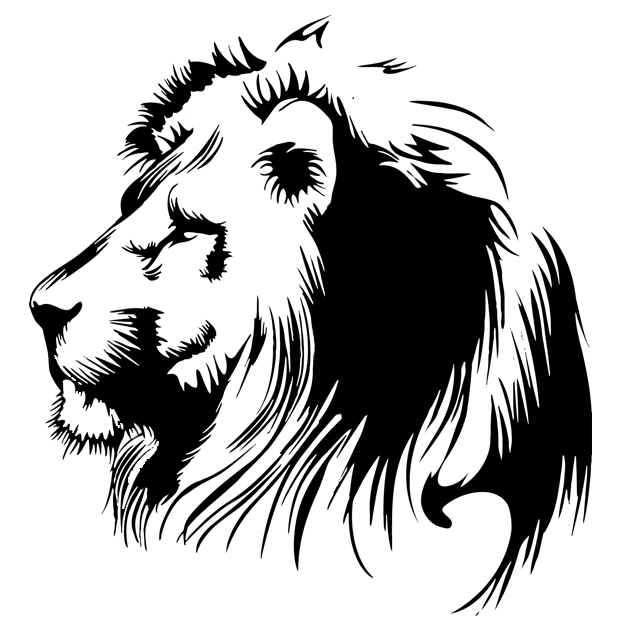 “May God the Son be the way you walk, the truth you follow, and the life you lead.” We as royals, will carry the torch of truth and knowledge with us. ND has given an education that has shaped us into the individuals we are today. " "ND has helped us strengthen our faith. 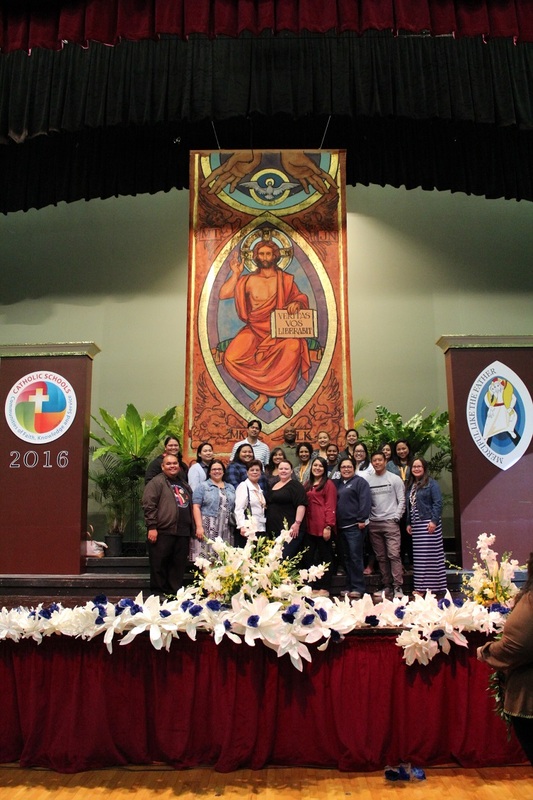 Attending school masses and class retreats have molded us into better people." Notre Dame continues to develop individuals to become the best leaders in our community. Personally, Notre Dame has been instrumental in playing a strong role in both my personal and professional roles. With virtue and knowledge being the foundation of the school, the skills I developed both in the classroom and socially have groomed me to be a respectful and confident individual. The faculty, staff and student body have added a sense of fostering characteristic, which in turn, has molded me to who I am today. Current students and Alumni should maintain a humble heart and a strong sense of Royal pride today and always. Mr. Vince Lombardi said it best when he said, "Leaders are not born, they're made." Those leaders are made at Notre Dame. I am truly grateful that I have instilled the importance of Family, Love and Humility in the different jobs I have held and continue to hold, because of my upbringing and education. Notre Dame High School is one choice I thank God I made. My daughters Maria Taitano (class of 2009) and Josephine Taitano (class of 2012) also attended Notre Dame. The Class of 86 will always be my Family. While attending Notre Dame, I learned that prayer, being humble, respecting others, and giving of oneself was our mission in life and this was what we were being groomed to be or do. May God the Son be the way you walk, the truth you follow, and the life you lead. Facilities fee is due February 26. Contact the Business Office for more details. Read more about Facilities fee is due February 26. Contact the Business Office for more details. Administration and faculty attended the Annual Catholic Schools Week Educators Conference at the The Phoenix Center on February 5, 2016. Read more about Administration and faculty attended the Annual Catholic Schools Week Educators Conference at the The Phoenix Center on February 5, 2016. Mr. Iseke was awarded the Religion Educational Conference Scholarship from the Catholic Schools Office on February 5. Faculty member Mr. Iseke was awarded the Religion Educational Conference Scholarship from the Catholic Schools Office on February 5. The conference will be held in Anaheim, California in February 2016. 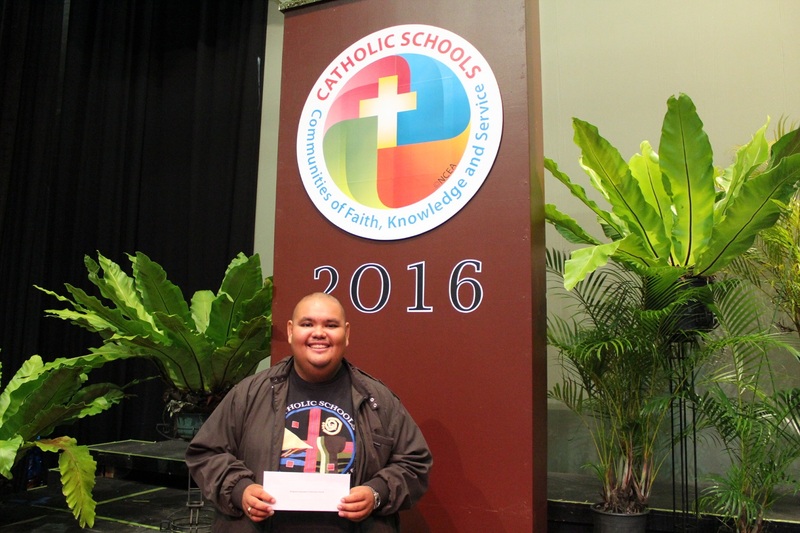 Read more about Mr. Iseke was awarded the Religion Educational Conference Scholarship from the Catholic Schools Office on February 5. Fifteen new members were inducted into the Notre Dame Chapter of the National Honor Society on January 21, 2016. 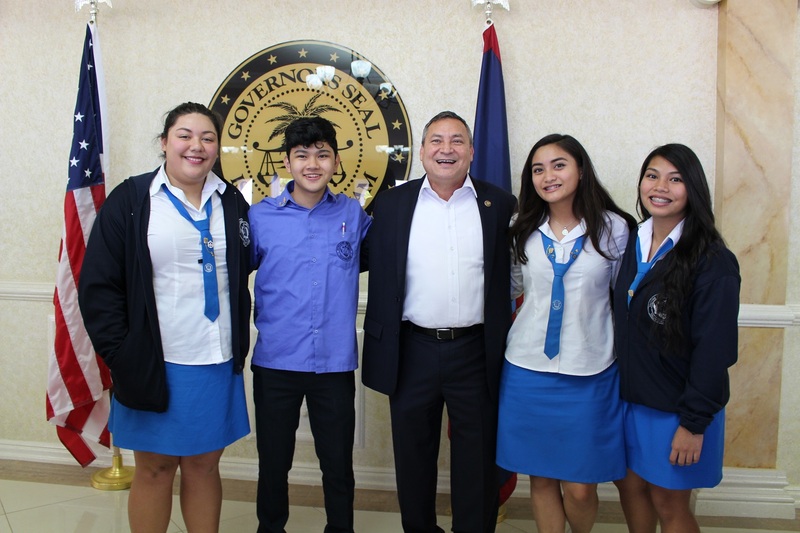 Student leaders attend the Catholic Schools Week Proclamation Signing at the Government House on January 29, 2016. 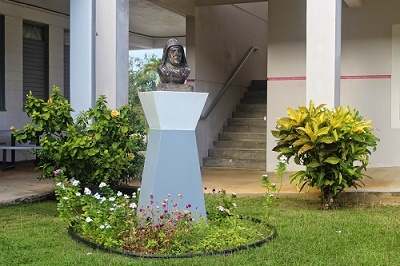 Notre Dame High School, Inc. bases its philosophy on the twofold mission of the School Sisters of Notre Dame, which is to serve the Church in forming a Christian Community and to provide quality education that enables each person to reach the fullness of her/his potential. The aim of the school within the context of the total curriculum is to assist each student in becoming an informed Christian who is aware of the gospel’s challenge to accept, develop, and integrate a faith-response into all facets of human life: spiritual, academic, social, cultural, and physical. This faith-response will be achieved upon the acceptance of their social responsibilities and willingness to share their talents. The school offers a curriculum preparatory for college entrance, career choices and family living. Guidance and counseling are basic to the educational program.